Caring professionals pay an emotional price for doing the work that we do. If your staff live traumatic events or are exposed to trauma from clients, the public, patients or families. hear difficult stories daily and are frequently exposed to traumatic details from patients and their families. The level of compassion fatigue staff experiences can ebb and flow from one day to the next. Even very healthy staff with optimal life/work balance and self-care strategies can experience compassion fatigue. We work together with your organization to improve your staff's understanding of compassion fatigue, vicarious trauma, burn out and moral distress. When your employees recognize signs and symptoms of compassion fatigue, and understand specific tools to include in a self-care plan, your organization can improve satisfaction and reduce turnover. Want more detail? Visit this page of the conferences where Compassion Resiliency has presented recently. Compassion Resiliency Is an Education and Consultation firm promoting the wellbeing of professionals who work in high stress/trauma work environments. Kay Glidden and Beth Reynolds-Lewis offer interactive training and on-going consultation on an individual and organizational level for trauma informed care, compassion fatigue and vicarious trauma resiliency. Kay and Beth have trained several thousand people since 2012 preparing staff with skills, strategies and resources for compassion fatigue/vicarious trauma prevention. ​Compassion Resiliency can help your organization become a culture of compassion and trauma informed care while maintaining high quality patient centered care. 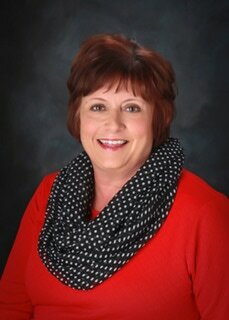 Kay Glidden holds a Bachelor of Arts Degree from Augustana College in Sioux Falls, SD. She received her Master of Science Degree in Education from Indiana University in Bloomington. Kay began her began her career in higher education, counseling and teaching college students for 13 years. For the last 18 years, she has worked in the Nebraska public behavioral health system as a supervisor, human resource specialist and trainer. Kay received training as a Certified Compassion Fatigue Specialist from Compassion Fatigue Solutions, Inc. in March 2012. She is certified by the Green Cross Academy of Traumatology. Kay is also a Mindfulness Educator teaching both children and adults. 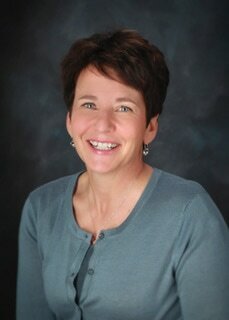 Beth Reynolds Lewis holds a Bachelor of Science Degree from the University of Nebraska at Lincoln. She served as a Protection and Safety Worker for 12 years with the Nebraska Department of Health and Human Services and a Forensic Interviewer for the Family Advocacy Network in Kearney for four years. 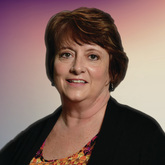 For the last 10 years, Beth has worked in the public behavioral health system in Nebraska. Beth is a Certified Compassion Fatigue Specialist and is certified by the Green Cross Academy of Traumatology. Beth is also a Registered Yoga Teacher (RYT) and Children's Yoga Teacher (RCYT). ​Beth has completed her Mindful Educators curriculum and is currently teaching mindfulness to children in the public schools. Kay and Beth are Certified Compassion Fatigue Specialists and certified by the Green Cross Academy of Traumatology. They have been training human service professionals, healthcare staff, teachers and law enforcement/first responders on compassion fatigue, trauma informed care and behavioral health issues for the last 10 years. They train together as a team for compassion fatigue trainings and since 2012 have trained over 3,000 people in the United States. References from our clients in healthcare, law enforcement, educators, K-12 schools, university, youth and first responders are available on request. Please use the Contact Us form.